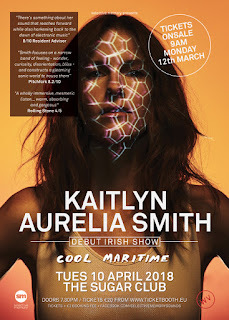 Kaitlyn Aurelia Smith making an Irish debut in The Sugar Club. Kaitlyn provided the great image. This version with the press quotes and the ticket details CTA is way messy. A follow up version was never needed though as this gig sold out.